I am listening when my body tells me it needs something, nutrient wise. When it’s begging for sugar, that’s addiction. I don’t need sugar. However, when I’m craving kale, that’s something I pay attention to. I realized yesterday my body was yearning for this nutrient dense, dark green vegetable. Kale is packed with fiber and phytonutrients and it’s an excellent source of vitamins C, K and beta-carotene. It also contains calcium and magnesium making it a potent superfood. I purchased kale for the first time at the Webb City Farmers Market Saturday, which was very convenient since I was now craving it. I decided this morning to make my first green smoothie. The recipe I used called for kale, collard greens, cucumber, celey, ginger, lemon and a green apple. This is where I had to get creative. I substituted blueberries, which are phytonutrient rock stars as well, and strawberries for the collard greens, cucumber, celery and apple…none of which I had on hand this morning. 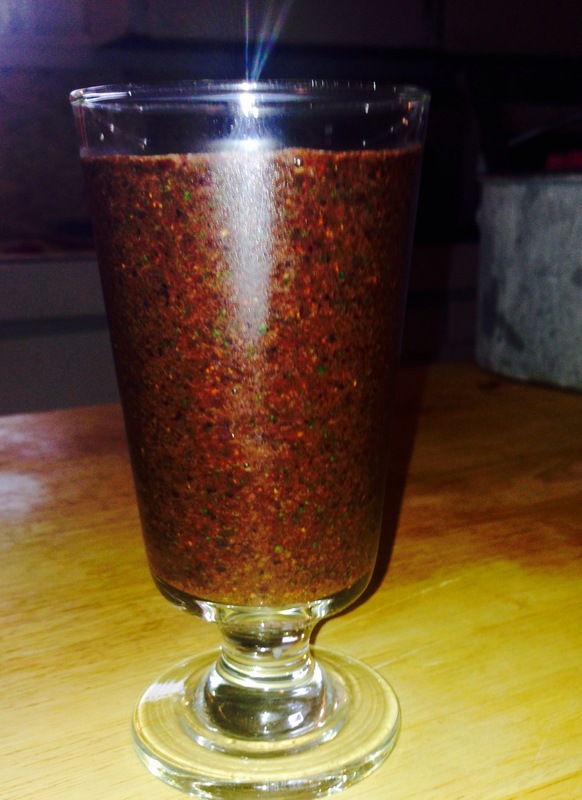 The drink was amazing…earthy, tangy, loaded with nutrients, satisfying….and definitely NOT green. What color do you get when you mix green, blue and red? Brown. A kind of purplish brown. My smoothie did have green flecks in it though! 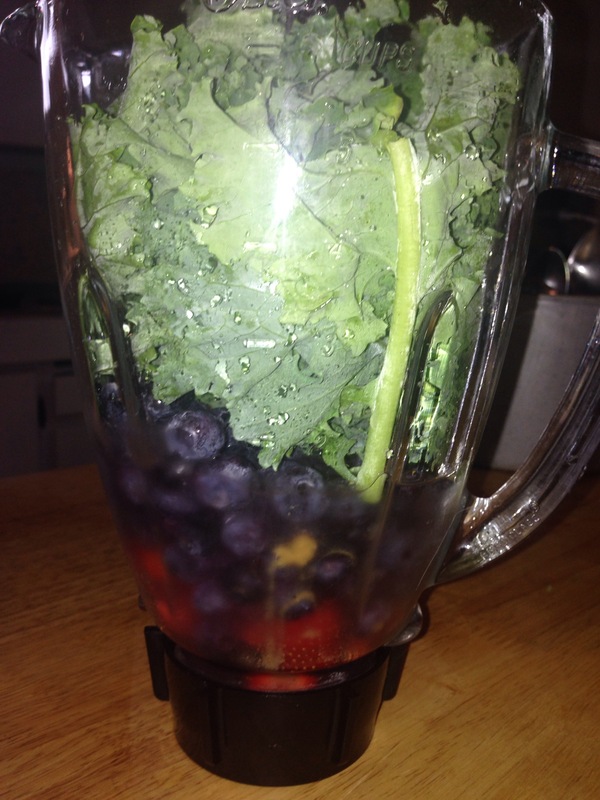 It was a great drink and I felt healthier for starting my day off with this powerful mix of superfoods. I also made a grocery list. Next time I make a green smoothie, it will, indeed, be green.